Are you looking to get out and explore more of Tennessee this spring and summer? The state has many day-trip options that can be fun for the whole family. Check out the different landscapes, the beauty, the history, and the excitement that is waiting just a few miles down the road from Nashville. Covering more than 26,000 acres, this state park is one of the most expansive and beautiful places you will find. Home to one of the highest waterfalls in the eastern U.S., there is plenty to feast your eyes on here. 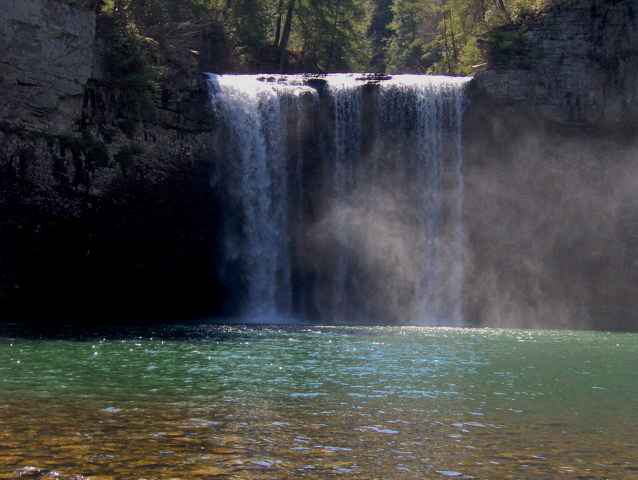 Follow one of several trails to see three other waterfalls/cascades, or check out the picnic and playground areas. You won't be disappointed! Seventy miles south of Nashville, nestled in a dry county, the oldest registered distillery in the U.S. is open for tours and tastings. The tour is available for all ages, but you must be 21 for the tastings. Come experience the history at the distillery and then venture into downtown Lynchburg to explore the quaint town square and stay for lunch at Miss Mary BoBo's. This hillside retreat just south of Franklin is the perfect place to take your houseguests to give them a taste of the Tennessee landscape and vino. The weekends are busy as people gather with their friends and family for leisurely picnics and wine tastings. Live music sets the mood every weekend starting April 29, so be sure to check out their calendar of events. Located in Sweetwater, Tenn., this expansive network of caverns is also home to America's largest underground lake, The Lost Sea! A tour will take you on a trail through the caverns and then you can ride a glass-bottom boat on the underground lake. Like to drive and look at several things in one day? This stretch of highway that runs along the border of Tennessee and Kentucky offers parks, covered bridges, wineries, antique shops, tasty eateries, and the second longest yard sale in Tennessee, which stretches 100 miles long. This year's yard sale is May 20-21st. Come see all that Tennessee has to offer!